London to Sydney Direct – How Would A Cargo Class Work? Very recently we discussed how Qantas is still searching for the perfect plane to be able to perform the final frontier of air travel, the legendary Kangaroo Route, Sydney to London. They have sent a set of specific instructions to both Airbus and Boeing, asking them for a new plane design that can carry enough fuel, crew and passengers for the route, whilst also being profitable. But they have also asked for something rather special and that has never been done in the airline industry. But first, a little about the flight in question. The new flight, Sydney to London (9,188nmor 17016km), would be a gruelling 20+ hours and may be dubbed ‘the most depressing flight in the world’ as westbound trip might not feature any sunlight for the entire journey. 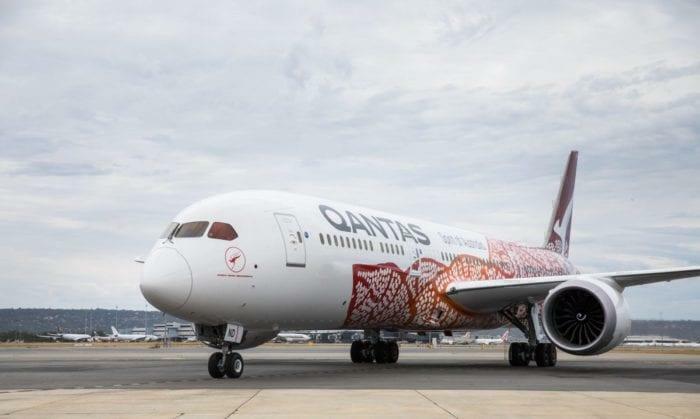 Qantas would like to have a route operational by 2022, pending on approval from the Australian Civil Aviation Safety Authority. There are some concerns about pilot fatigue that need to be addressed, but might be avoided if the plane has multiple crews on board. This new route would be a cost saving for the Airline, as they would not need to stop and refuel, plus customers would get to London three to four hours quicker on average. This new plane design would feature the Qantas standard four-classes, first, business, premium economy and economy classes. But there is one more class that Qantas would like to include on board, Cargo Class. Cargo class is a possible new passenger class type as defined under Operation Sunrise, a special program to understand how to make extreme long-haul flights more appealing to customers. This can be anything from the creation of new areas on board, such as a public bar, gym, child area or work area for business passengers (Similar to open lounges that we are seeing on board with larger A380s). Overhauls of food, beverages, lighting and entertainment are also being considered. The idea of Cargo class is rather innovative. New spaces would be located in the cargo section of the plane (sacrificing freight capacity) that would allow passengers to walk around and mingle. Passengers travelling in this class would have the option to sleep lying down in bunked recesses in the bulkhead (Like on a sleeper train). Some of these can be designed as modules, that can be swapped in and out of the cargo area depending on the client and bookings (Modules that would be regularly interchangeable with regular cargo containers for a quick turnaround). However, it is important to remember that Qantas already runs a pretty gruelling flight, London to Perth (16-Hours), that does not feature a cargo class and it still gets consistent positive reviews. In fact, Qantas sees the long-haul offering as a premium service, that customers are happy to pay extra for, so maybe there is no market for Cargo Class. Would you like to travel in cargo class? Let us know in the comments.